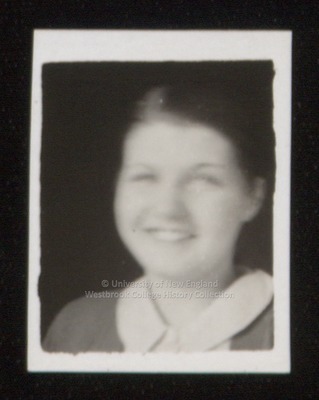 A ca.1934 Westbrook Junior College student portrait has written in pencil on the back M. Boynton. Miss Boynton's hair is pulled back behind her ears. She wears a white blouse with peter pan collar under a sweater or jacket.